Today was to be a day in which we mused over the extensive qualifications of the incoming Supreme Court Justice. Sadly, we are NOT discussing his over-qualification for the position today. We are NOT discussing how balanced the Court will be with him on the bench with the other 8 justices. Instead, not just us, but the entire country is being forced to take sides in a senseless, unfair, and untimely smear campaign strategically put together as a hail-mary disruptive pass thrown by a senior Democrat Senator to at best delay, at worst derail Kavanaugh’s donning the robes of SCOTUS. Diane Feinstein (D-CA) chose to throw a wrench in the confirmation of Kavanaugh by releasing that she holds a letter from an anonymous source that reveals a sexual travesty perpetrated by Kavanaugh more than 30 years ago while in high school. 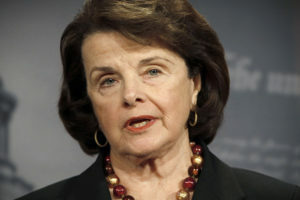 There are a plethora of questionable elements to Feinstein’s release of this information along with the alleged victim almost immediately stepping forward out of the “anonymous” shadows to go on-the-record — this in spite of her purported pleas to Feinstein to allow her to remain anonymous and that she did NOT want to step forward. Questions? Does anyone besides the investigative staff at TruthNewsNet.org have any questions? Share some of ours, and maybe as we answer those we may be answering yours’ as well. 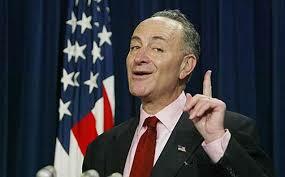 That’s an easy one to answer: it’s Senator Chuck Schumer (D-NY). Although he has played no active role in the Kavanaugh confirmation hearings with the Senate Judiciary Committee, Schumer has not just been quietly waiting to cast his vote against Kavanaugh when his confirmation vote comes to the full Senate. He has been working diligently behind the scenes to derail Kavanaugh’s confirmation. Why? Maybe it’s because he went nuts when Senator Mitch McConnell (R-KY) as Senate Majority Leader prevented hearings for Obama’s last SCOTUS nominee — Merritt Garland — and he wants to pay Republicans back for their blocking Garland’s appearance before the Senate Judiciary Committee. Maybe it’s because Democrats in Congress are frantic, trying to find any way possible to short-circuit any appointment of any conservative judge to the Court, certain that whoever gets that 9th seat would be the determiner of the future of Roe v. Wade. Maybe it’s simply because Schumer is mad: mad about not being Senate Majority Leader, not ever considered as a Democrat vice-president running mate, or because he has been unable to railroad several of President Trump’s signature legislative agenda items. 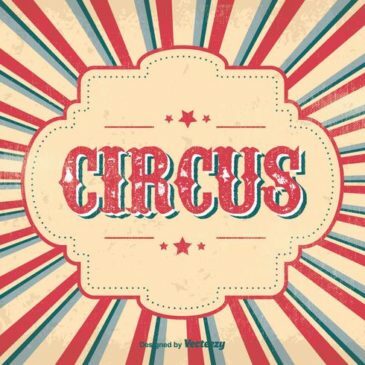 Whatever the reason or reasons, Schumer is in the ring, controlling the circus, and had one of his circus clowns throw a new trick into the ring that has everyone breathlessly looking in. ♦ What is the claim of sexual misconduct by Brett Kavanaugh all about? ♦ If Feinstein received the letter in July, why did she not immediately turn it over to the FBI? First, Feinstein met privately with Kavanaugh in her Senate offices and took a considerable amount of time questioning the nominee about a myriad of important elements regarding his appointment to the high court. One would think that during such an interview, Feinstein would have broached such a dynamic issue with the nominee. She did not question him about it nor did she even mention. In Kavanaugh’s appearance before the Senate Judiciary Committee, Feinstein asked Kavanaugh numerous questions. But she did not mention in her questioning anything about the abhorrent charges made against him. Feinstein has not explained why she waited so long to refer the letter to the FBI nor why she did not question Kavanaugh about the alleged incident. So what could her reason(s) be for not doing so? Simple answer: political expediency. The “new” way in Congress for the minority party to influence any and all issues that come before it is to whenever necessary play whatever card it takes to upset whatever the opposing party is endeavoring to accomplish. We see it almost daily since the G.O.P. hold majorities in both Houses. Democrats find all sorts of ways to obstruct normal governing in Congress. This is no different and should have been expected. ♦ Can this stop Judge Kavanaugh from becoming a U.S. Supreme Court Justice? The allegation alone cannot stop his confirmation. What CAN stop it (and what Democrats are holding out for) is to put doubt in the minds of a handful of Republican Senators sufficient to fall short of the majority necessary for his confirmation. Republicans hold just a slim margin in their majority. There are several Senators who already were unsure about Kavanaugh — primarily based on the fear that he is anti-abortion and might be the deciding vote to overturn Roe v. Wade if a case came to the High Court to do just that. Those Senators are Lisa Murkowski of Alaska and Susan Collins of Maine. Additionally, Democrat hopefuls hope that Kavanaugh will tire of this unforeseen pressure and attack on his integrity and will simply withdraw from consideration for the spot. President Trump could too request that Kavanaugh withdraw. ♦ Has there been any other case similar to this in the Supreme Court confirmation process? There is a case that is eerily similar to this. In 1991, Clarence Thomas was a Supreme Court nominee. A former associate of his — Anita Hill — came forward and accused Thomas of sexual assault against her. There was no evidence proving or disproving her claim. In very ugly public hearings, Democrats and Republicans alike sparred back and forth regarding the validity of her claim. There we no women on the Senate Judiciary Committee that was chaired by former Senator and Vice President Joe Biden. The Committee failed to via committee vote endorse a full Senate vote on the nominee. The full Senate voted on Thomas’ confirmation without committee approval. Thomas was confirmed. It is noteworthy that NO such case has ever been brought forth in a case involving a liberal/Democrat justice nominee. This appears to be still another way for the minority party to throw a curve ball in this process that they find necessary because of lacking control in the confirmation process. ♦ What role is the Media playing in this happening? That is probably the easiest question to answer: they are all going bonkers! One can just imagine which networks and newspapers are being objective while giving Americans the facts of the story and which are “in the tank.” It’s the usual lot: FOX News, the Drudge Report, Sean Hannity, Rush Limbaugh, the Washington Times, are all simply passing out facts while CNN, MSNBC, ABC, CBS, the New York Times and Washington Post are wall-papering their news reporting 24/7 with not news, but their “perspectives” on all things to do with this. It is so ridiculous, it is almost funny. This story is far from over. No doubt even with the obvious delaying tactics being used by Democrats Kavanaugh should still be confirmed. But the process is not going to play out so quickly. Members of the Senate Judiciary Committee want to interview the woman and Kavanaugh in a hearing in which they are both under oath. The committee is scheduled for a vote on moving his nomination to the full Senate this Thursday. That is unlikely at this point. I expect for the Committee to have testimony from her and Kavanaugh both before a vote is taken. It is important to note that Democrats are the solo artists of turning the presidential appointment — confirmation process into a simple majority. Former Senator Majority Leader Harry Reid (D-NV) changed the rules that formerly required a 60-vote majority to a simple majority. Obviously, if that old rule was still in place, confirmation of Kavanaugh would be almost impossible. This latest hiccup brings that possibility back into play. The investigative staff of TruthNewsNet.org is preparing a full in-depth report we will bring you in full tomorrow. Make a note: that story will go live internationally at 01:45 AM tomorrow morning. If you have not already, log in your email address at the bottom right of the home page. You will then receive during the night an email link to this and any other new story/podcast on which you can simply click to read or hear every story ever posted at www.TruthNewsNet.org. Your email address is totally confidential: we NEVER give any email addresses to anyone. The only entity you will hear from is us. And we promise to NEVER try to sell you anything and will NEVER even run ads on our site. Everything here that you read or listen to is 100% free to you. Login simply to assure you never miss a story or podcast. There are many things going on in D.C. part of this story and part of “other” stuff there. Stay with us: it’s getting deeper and deeper!